Leslie Couvillion is a litigation associate in the Environmental and Workplace Safety practice. 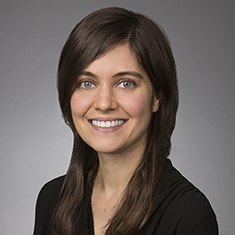 Leslie focuses her practice on environmental criminal and civil litigation. Before joining the firm, Leslie worked in the environmental department of a large international law firm, representing clients in litigation and regulatory compliance matters, including citizen suit and class action defense, appellate cases, and agency rulemaking processes, with a focus on the Clean Air Act, Clean Water Act, and Endangered Species Act. During law school, Leslie was a director of the environmental clinic and the non-profit organizations clinic, and an editor for the Yale Journal on Regulation. She also previously worked as the Pretrial Services program coordinator for the Orleans Public Defenders in New Orleans, Louisiana. Shown below is a selection of Leslie’s engagements.